Minimalist Mom Diaper Bag | Lauren, Etc. I hope everyone had a wonderful holiday! This Christmas was probably the most fun I’ve had since I was a kid. James and Emma had such a blast opening their presents and playing with the wrapping paper. If you follow me on Instagram, I’m sure you saw them having a blast. And I have to admit my family and friends spoiled me with gifts this year. I’m a lucky, lucky girl. Y’all know I love my kids, but it sure is nice to get a little bit of break. Having twins can be quite overwhelming, but I also feel it has really taught me how to prioritze as a mother. When you have two infants, sometimes one just has to cry it out while the other is consoled. And coordinated naps, meals, and bath time requires a lot of patience. I also have to be very selective with the items I bring with me. Double everything is not an option, nor is it really necessary. Before the babies were born, I scoured countless websites and blogs for advice on everything, including what I needed in my diaper bags. Lists and photos sometimes showed between 50-75 objects at all times, and that was just the recommendations for a single baby! Nope, that was not going to work for me. I carried, maybe half the recommended items once the babies were born, and a year of trial and error determined what was really needed. The diaper bag I have been using since the babies’ birth is the Skip Hop Duo Special Edition in French Stripe. It is a great bag in general with TONS of zipper pockets and magnetic closures. When I do have to throw some feeding items, toys, and outfit changes for longer trips, it fits everything and keeps me super organized. There is also a smaller cross-body diaper clutch that is super cute, but I have no need for TWO diaper bags. As I continue on this mom journey, I know I’ll edit down the items I carry. For example, the sunscreen, umbrella, water bottle, blotting papers, mints, and earbuds are never really used when I’m on the go. Does anyone else sometimes feel like a crazy bag lady carrying things you really don’t need? Or what are your essentials that you are constantly using and can’t be without? Thanks for reading! This entry was posted in baby, minimalism, organizing. Bookmark the permalink. I love this -thanks! As someone having her 1st baby this fall, I would be interested on a post with your thoughts on minimalism and babies. What does a minimalist really need to buy for the first 6 months of a babies life? That is such a good question! I would imagine just about every new mom, whether she’s a minimalist or not, wishes she could go back to redo all the pre-baby purchases. Babies really don’t need much, especially at the beginning. A place to sleep, a couple outfits, food, and diapers. 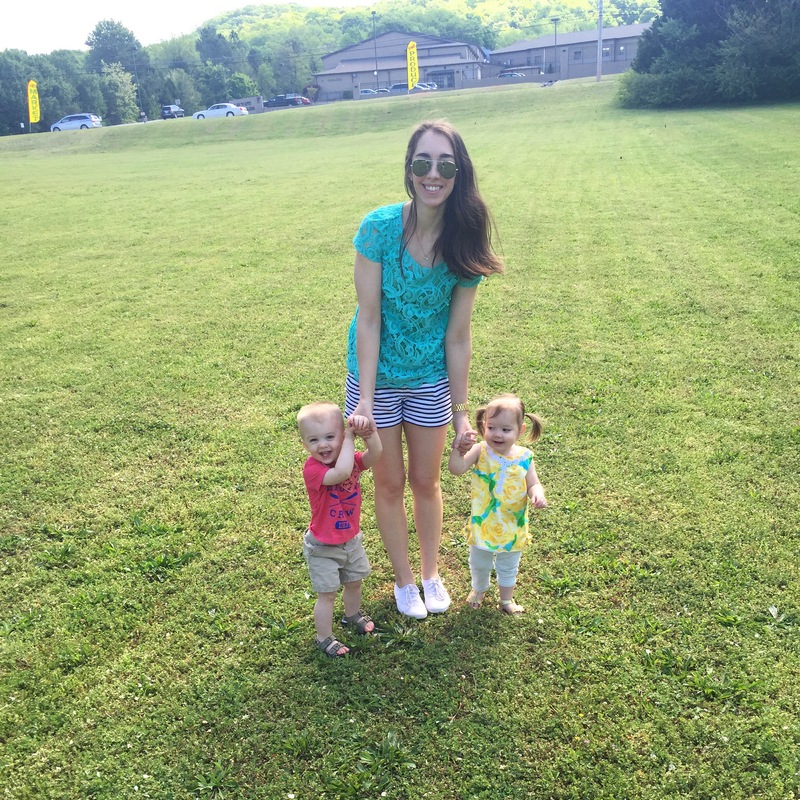 I would imagine my babies’ needs differ from other moms as we all have unique experiences. But I will definitely consider writing about this topic in a future post!